The DRV8825 stepper motor driver carrier board TI DRV8825 micro bipolar stepper motor drive is a breakthrough. The module has a pinout and interface with our A4988 stepper motor driver carrier is almost the same, so it can be used as a better performance of the pull-down menu board replacement in many applications. DRV8825 features an adjustable current limit, overcurrent and overtemperature protection, six micro-resolution (down 1/32-step). 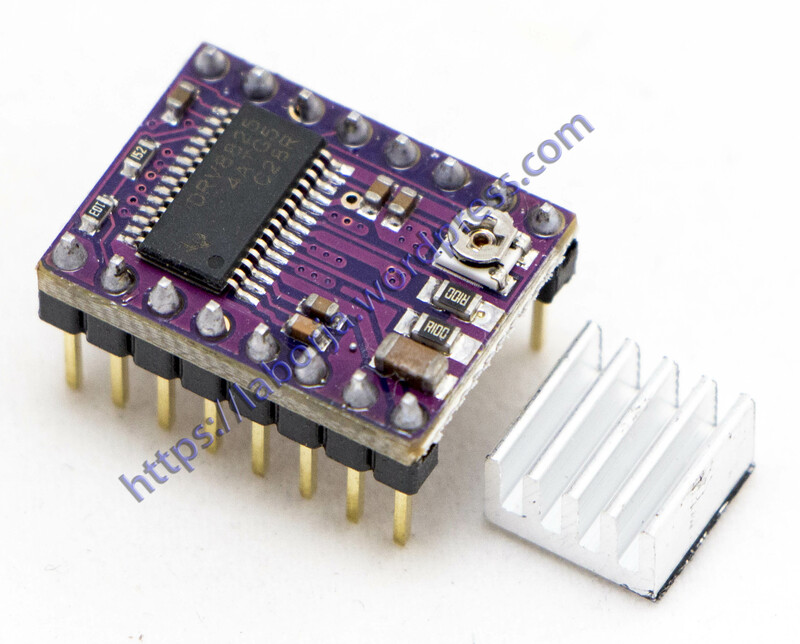 It uses 8.2 – 45 V, can provide up to about 1.5 per phase no heat sink or forced air flow (rated up to 2.2 per volume sufficient additional cooling).